There are a thousand reasons Loudoun is becoming a destination for couples planning to tie the knot. Stunning vistas, wineries, farms and historic buildings are making the county a wedding hotspot. The second annual Weddings In Loudoun Tour on Sunday, March 13 features more than 35 venues. Organizers say it’s the perfect chance for couples to see what’s out there as they plan their big day. 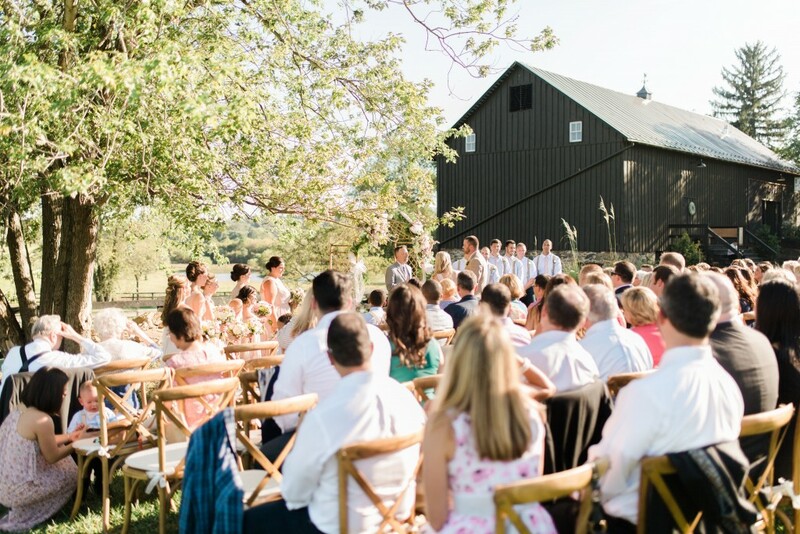 “The rustic settings, lush vineyards and beautiful countryside are all attracting couples to get married in Loudoun. Getting married among the vineyards with the Blue Ridge Mountains as the backdrop or in a circa 1800s barn are unique opportunities that you can’t find everywhere,” said Jennifer Sigal, media relations manager for the county’s tourism agency, Visit Loudoun. And yes—many venues still have spots available for 2016. Planning a wedding over a long distance can be challenging, and it certainly helps to have mom on board. Kate Grandfield and her fiancé Bret Bronner live in Ann Arbor, MI, but wanted a wedding in Loudoun where Kate grew up. Luckily, the bride’s mother, Jackie Ondy, lives in Round Hill and has been Grandfield’s point person on the ground. When Kate was in town last spring, mother and daughter visited several venues. In the end Kate opted for one of the county’s most popular wedding settings—Oatlands Historic House and Gardens. Kate and Bret will take their vows in just a few weeks on Friday, May 13. The date didn’t faze the bride—in fact, she thought it had an offbeat charm. The couple also got a reduced rate for choosing a Friday date. According to Visit Loudoun’s Sigal, choosing a Friday or Sunday date is a great way to save money. Ondy says she was pleasantly surprised to find that Oatlands—one of the crown jewels of Loudoun’s wedding industry—was within their budget. The historic property owns its own chairs, which brings down rental expenses, and has a list of preferred caterers for a range of budgets. Kate and Bret’s ceremony, with around 70 guests, will take place in the mansion’s garden with the reception in the historic Carriage House. Oatlands also offers tented weddings for larger parties. The historic side to the 1803 property was a big draw for the couple. Kate, a history major in college, loved the fact that guests have the option of taking a guided tour of the Oatlands mansion during the reception. When Suzanne Cragon Lauer and her husband bought Tranquility Farm near Purcellville in 2007, opening their home to weddings was not in their plans. But the property’s picturesque setting, historic barn and silo led to requests. And last year, the owners decided to go for it—primarily as a way of showcasing their preservation efforts. Because they live on the property, they’re limiting weddings to around 10 each year in spring and fall. One of the attractions is that the couple, along with their wedding party, and some guests can all stay on the property. The Lauers open their historic stone manor to guests and also offer a cottage and glamping (glamorous camping in chic tents with real beds), so it works well as a choice for couples who want to extend the big day celebration with family and friends. 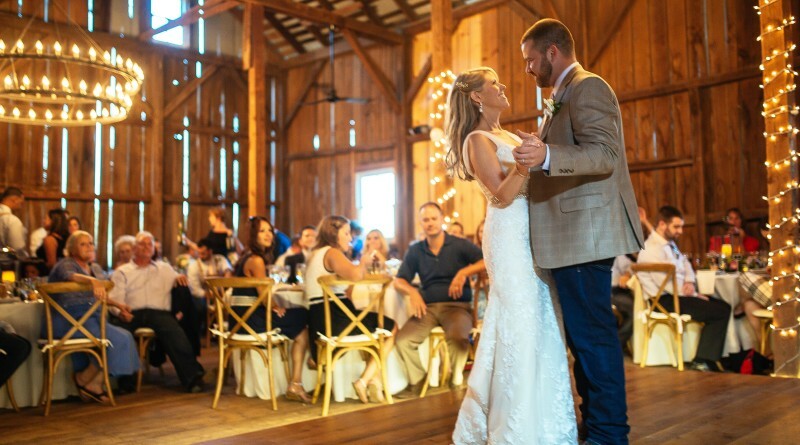 For Sarah and Stephen McCain of Ashburn, who were married at Tranquility Farm last September, the rustic elegance and on-site lodging were big selling points. The happy couple and their wedding party stayed on the property Saturday night, unwinding by an outdoor fire after most of the guests had left. The following morning, the McCains hosted a small brunch for the wedding party and out of town guests. 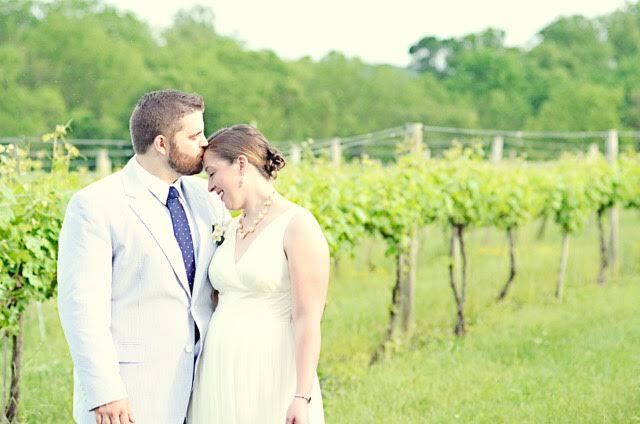 Weddings are big business for Loudoun’s vineyards. Not all local wineries double as event venues, but weddings are bread and butter for many. A number of the wineries on the tour have been hosting weddings for decades, and for some of the newer kids on the block, the event is a chance to showcase new facilities. The Hatch family, owners of Zephaniah Farm Vineyard near Leesburg, has hosted weddings on the family farm for nearly 50 years. Owner Bill Hatch and his wife Bonnie Archer were married on the property 46 years ago. And since the transformation of the farmland to vines 15 years ago, Hatch and Archer have been slowly ramping up to open the property as a wedding venue. Two of their children have held weddings at the vineyard and their third will take her vows among the vines this year. The couple took things up a notch last year, after completing construction on a new timber frame barn, with seating for 100-125. This year marks their first full season of hosting public weddings, and Hatch is excited to open a new chapter for the property. “People like the historic nature and the fact that it’s not a huge venue,” Hatch said. Oatlands Historic House and Gardens, Tranquility Farm and Zephaniah Vineyards, along with more than 30 other venues will be participating in the self-guided Weddings In Loudoun Tour Sunday, March 13. For more information and a complete listing of venues, go to visitloudoun.org/weddings.